While sitting in the the waiting room this morning for a routine medical lab test, I applied my designer’s eye to what I was experiencing and started thinking about the state of user experience in American healthcare. From my perspective as a designer and a patient, I characterize the state of the industry today as “an awkward cyborg.” On one hand, we have the shiny veneer of technological innovation, but on the other, we still have a lot of work to do to address the human emotional elements of the healthcare experience. 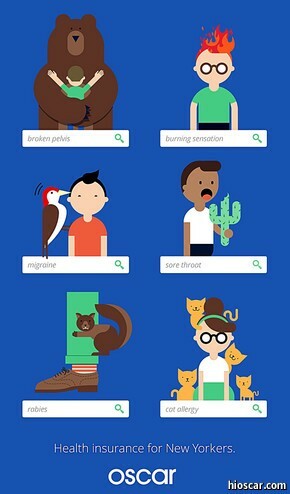 I’m insured through Oscar, a post-Obamacare insurance company with a quirky, fun visual identity (so not your typical health insurance). I get great customer service every time I call them for help. And they have a handy app that gives me my recent medical history at a glance, tracks the steps I have walked, and gives me Amazon credits when I reach my step count. I often book my appointments with ZocDoc, a free service that allows patients to book medical appointments online or from a mobile app. If we can order and book pretty much anything online these days, we should be able to do so for my doctor’s visits too. ZocDoc’s Karsten Vagner called this out back in 2010, but we still have a long way to go to make booking a doctor’s appointment online as universal as ordering takeout through Seamless or GrubHub. I previously went to One Medical Group for primary care. They have a real human-centered focus on every aspect of the patient experience. They offer everything from online booking and access to medical records to reception areas more like a spa or a boutique hotel than the grey dreary gloom of a stereotypical doctor’s office. Unfortunately, One Medical doesn’t yet accept Oscar, my new insurance. 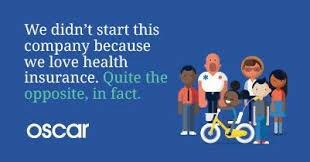 I had to switch insurance coverage after I left my full time job to start my own company, because my previous insurer’s plans were beyond the budget of my new fledgling enterprise. 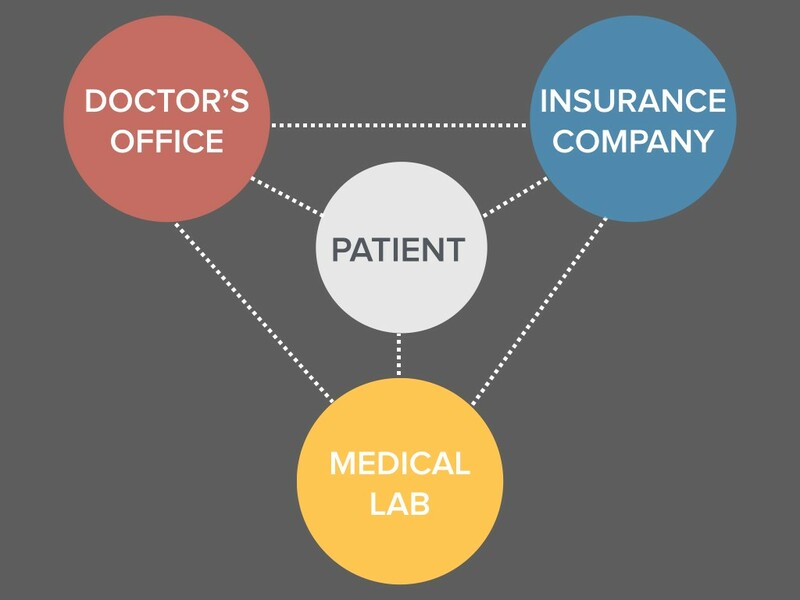 Even with these examples of bright spots in healthcare user experience, there are still issues at the seams, the liminal space from one provider to another or between your provider and your insurance company. After some four-way phone tag between my doctor, my insurance company, the medical lab and me about getting preauthorization for the test, my insurance company gave my doctor’s office a long and random-sounding approval code over the phone. My doctor’s office called me and left a voicemail with the approval code. Then I had to call the lab to schedule an appointment and give them said code verbally over the phone. In the scheme of things, this is a very much a #FirstWorldProblem, but it’s also a needless one. All of the people that I dealt with along the way were great, it’s just the system that sucked. Patients are sometimes caught in the crossfire of (mis)communication. It’s 2015. Do we really need to be playing telephone with medical approval codes when a simple email or other form of digital transmission would suffice? The current analog method is not only an annoyance, it’s prone to potential errors. I’m self-employed and able-bodied, so really all of this was nothing more than a minor annoyance. But what about somebody working a shift job who would have to take time off from work just to get all of these administrative issues done over the phone during doctors’ office hours? To actually confirm my lab appointment, I then had to bring a paper prescription from my doctor to the lab. I have no idea why my doctor couldn’t just email the prescription or otherwise transmit it electronically. Or put a different way, why the lab requires this paper, rather than electronic prescriptions? What a waste of paper, and what if I lost my prescription along the way? Then there was the actual check in process for the lab. More awkward cyborgery. Check out the photos below of the lab’s check in machines. 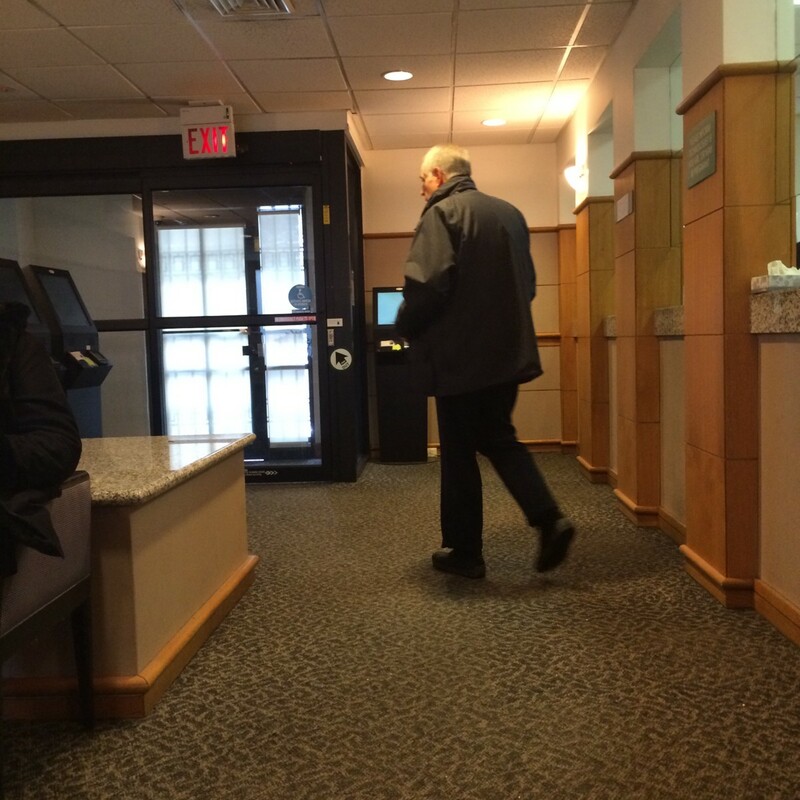 Despite there being a traditional reception desk staffed by real humans, patients were directed to self-service check in kiosks pictured above. For me this was relatively painless. I just put in my name and contact info, scanned my government ID and health insurance card. Ok fine, just like self-service check in at the airport. But this is where it gets all awkward cyborg. I was then directed to sit and wait for my name to be called. A few minutes later, somebody at the reception desk calls my name. She asks for my insurance card again so she can make a copy. But wait, didn’t your kiosk machine already scan it? Ok, whatever. 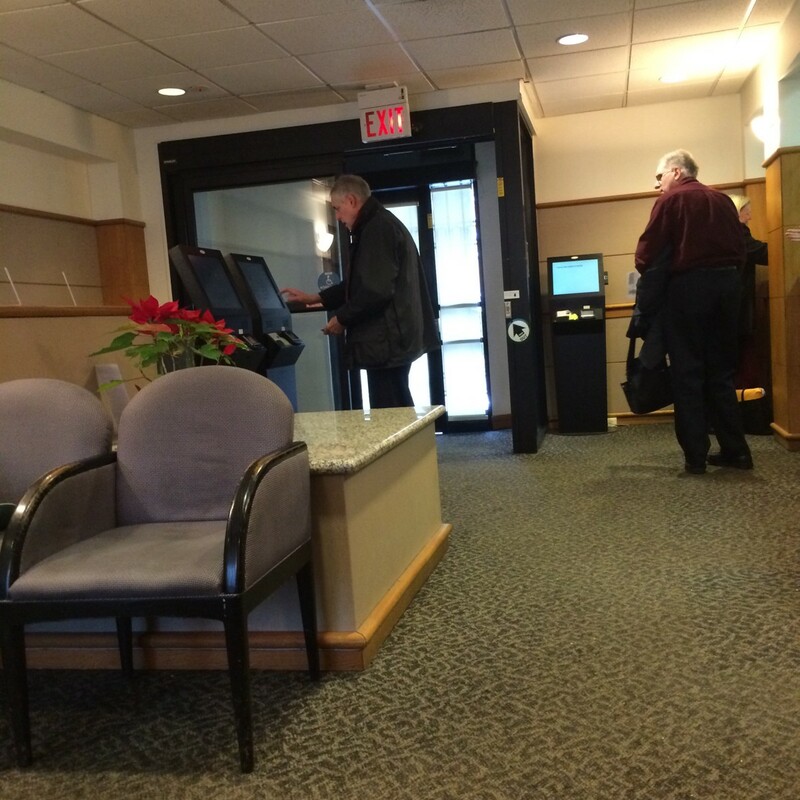 But what was the point of the machine scanning my insurance card if the receptionist had to make a copy of it again? Then, the receptionist hands me a paper health questionnaire to fill out before I get my tests done. Couldn’t this questionnaire have been administered by the electronic check-in kiosk? I certainly reported on these basic health history datapoints on multiple previous occasions, once with my primary care doctor, once with my ENT specialist, another time with my insurance. How hard is it in 2015 for me to opt in as a patient and allow for the easy electronic sharing of my health records between providers? Then there is the impersonal awkwardness of the kiosks themselves. There can be considerable anxiety around getting a CAT scan, X-ray, or a mammogram in the first place, yet the first thing you hear when you enter the lab lobby is somebody whose job is ostensibly to greet and welcome you and make you feel comfortable directing you to a cold, impersonal machine with less charisma than an ATM. Awkward cyborg. One of the older gentlemen in the photos I took had a hard time dealing with the check-in machine and needed the help of a friendly receptionist. What’s the point of these machines that are supposedly there to increase efficiency if you are creating a new barrier that your patient has to navigate just to get a test that he or she is probably already a little anxious about in the first place? As an alternative, couldn’t we all just talk to a person first, and give the receptionists more efficiently-designed workstations/kiosks to help patients check in? The purpose of this post is not to name and shame any healthcare providers. All of the people that I dealt with from doctors to reception and administrative staff were helpful and friendly, but there is still a lot of work we can do in designing/redesigning the healthcare user experience to not just embrace new technologies, but to integrate them with human touchpoints in ways that make sense and provide better care. We need to see healthcare innovation as more than just new medicines and new digital gadgets. It’s not just about adding technology where we can to “optimize” processes, but crafting emotionally intelligent experiences that address the health and wellness of the whole human. We have a lot of work to do, and I see these awkward cyborg moments as symptoms of growing pains and the uneven transitions between different technological and human processes. I look forward to continuing the conversation and using my skills as a designer to address these challenges. Let’s save Captain Picard from the Awkward Cyborg of healthcare! Special thanks to Illya Szilak, Amy Selwyn, Christopher Chavez, Chelsea Wagner, James Burke, and David Colby Reed for their valuable feedback and insights for this post. Thanks to Christopher Chavez, Illya Szilak, and Amy Selwyn. Cofounder @FoossaNYC: I work for and with communities to tell stories, design services, and build new forms of shared value. Let’s design a better future. Together.